When electric current travels through the air and goes where it isn’t supposed to, the result is an arc flash. 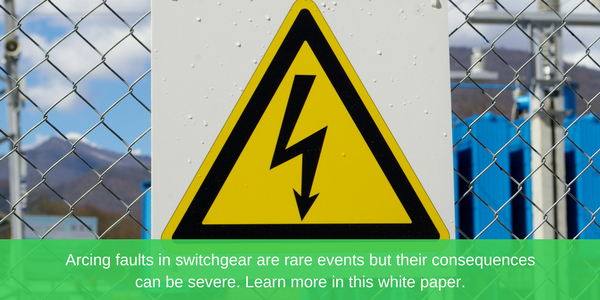 It can be a violent event as the current jumps from one conductor to another or to ground. If people are near, serious injury and even death can occur, causing medical costs that can exceed a million dollars. Equipment may also be damaged, adding to any expense. The simplest and surest way to avoid an arc flash is to never work on energized equipment. But, this means there must be a way to determine with complete certainty when the power is off. There are standards, such as IEC 62271-200, that specify the steps that should be taken to prevent arc flash and its undesirable outcomes. One of these standards is the soon to be released 2018 edition of NFPA 70E, which has been revamped and made more stringent. These changes and other factors are leading to an increased demand for protection systems, according to Scalar Market Research. One change in the new standard that could be very important is that a permanently mounted device may now be used to test for a power-off condition. Traditionally, this has been done using a hand-held test device. With the change to the standard, qualified workers can determine that circuits have been de-energized without potentially first being exposed to the risk of an arc flash. They can also carry out this check without first having to done personal protective equipment (PPE). So, the standard change can prove very useful – provided that the new test method is implemented properly. An example of such an approach is Schneider Electric’s VAMP, an active protection system. To learn more about available arc flash products solution, please click here or explore our full line of medium voltage offerings You can also read our free white paper,“Evaluating the Arc-Flash Protection Benefits of IEC 61850 Communication.” The next post in this series will outline the important benefits of arc flash protection. Great Blog,Thanks for sharing such beautiful information with us. I hope to will share some more information about arc flash ppe .